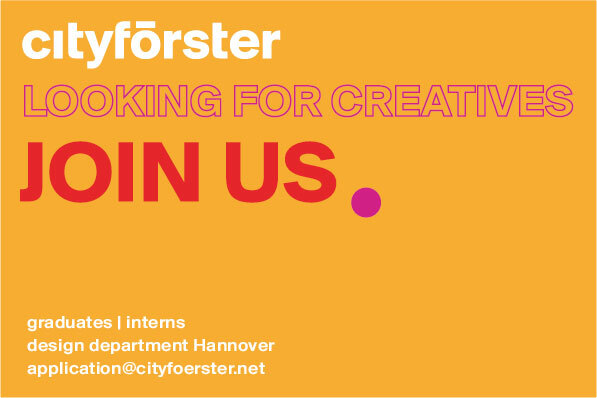 Cityförster is looking for ambitious graduates and interns for the design department in Hanover. You are open, creative, confident and motivated to contribute your own ideas? You enjoy designing, deciding and illustrating. Then become part of our team. Together we design buildings and urban plans. 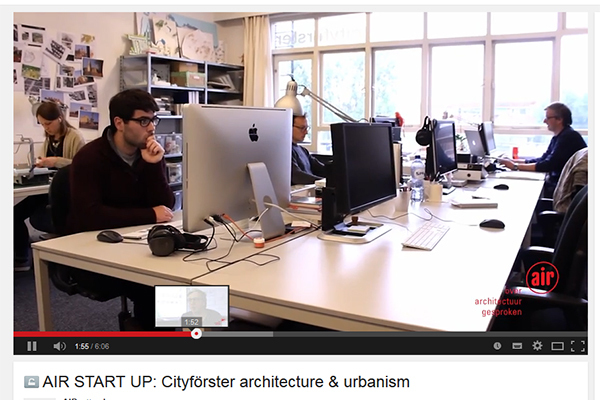 From regional projects to international tasks, the field of work at Cityförster is diverse. 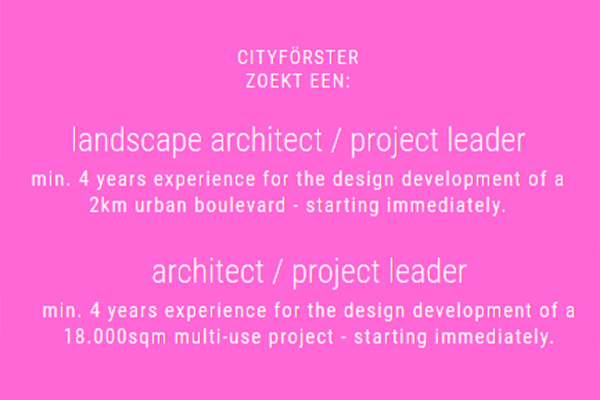 Apply with a short descriptive portfolio to application@cityfoerster.net. Tomorrow Martin will talk at AfricaWorks 2019 about the construction of our Campus in Chalimbana, Zambia. Optimizing the buildings orientation towards the sun required substantial excavations. We've used the material to produce Compressed Stabilized Earth Blocks (CSEB's) that are an excellent and circular alternative to concrete blocks. They also stabilize the interior climate so that no air-condition is necessary. New Housing and Classrooms for more than 400 students! 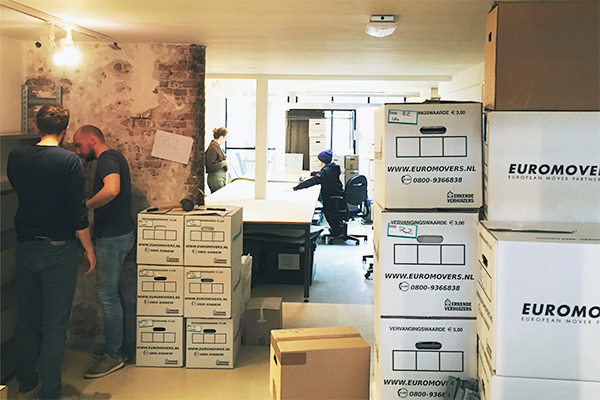 Our office in Rotterdam is moving! 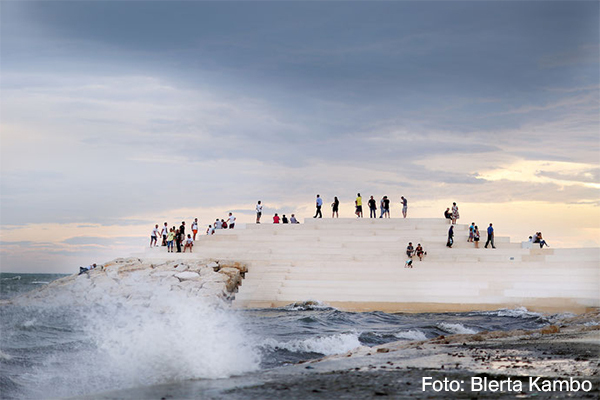 The 14th BDA Partner Day on April 5, 2019, is to take up the 100-year tradition of the Bauhaus and link it with the current challenges of climate change. 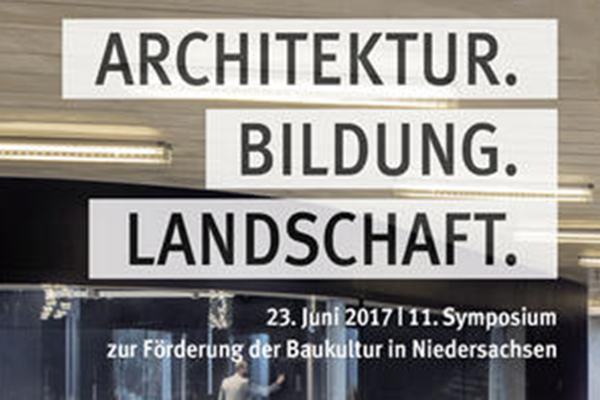 We are pleased to contribute to this discourse with a keynote speech on our Project Recyclinghaus. The Ministry of Environment, Climate and Energy Baden-Württemberg organizes the sixth symposium of the R-Concrete and Circular Economy series in Stuttgart. Nils Nolting from Cityförster presents our Project Recyclinghaus. We had a very successful day at this year's Expo Real. We made a lot of new contacts and we are looking forward to the future challenges that have arisen. 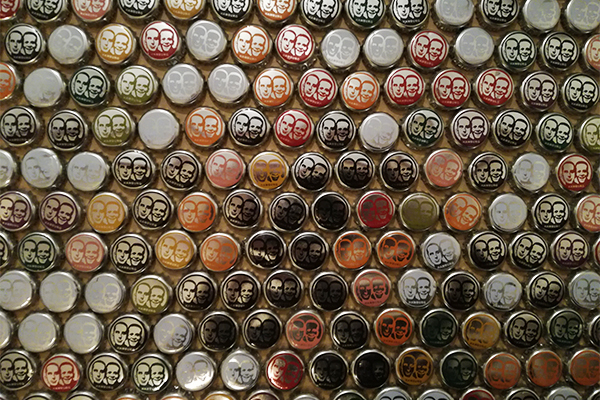 How much recycling is possible? This question will be discussed by Nils Nolting of Cityförster on November 8th, 2018 together with other experts from scienes and the construction industry. 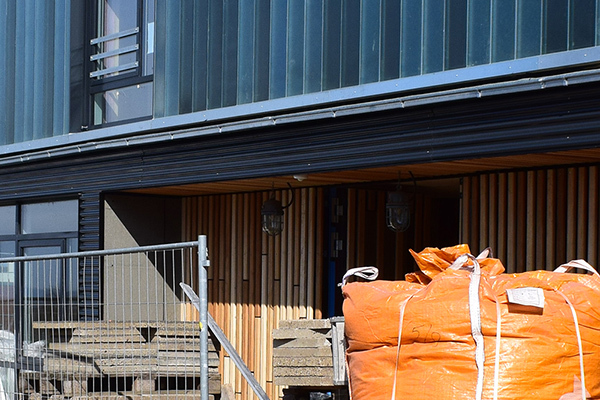 Nils Nolting will present our recycling house at the event "Regionale Ressourcenwende in der Bauwirtschaft" by Zukunftsagentur Rheinisches Revier. Using this research project Nils Nolting demonstrates different ways of recycling and talks about opportunities and limitations designing buildings with recycled materials and used components in a recyclable construction. Click here for more information about the Zukunftsagentur Rheinisches Revier and here for the project. On Sunday, 21.10.2018, from 14: 00-16: 00 an open day will take place in the Recyclinghaus. Interested parties are invited to get an impression of the shell and some special details. We are pleased about the successful completion of the design workshop for the further development of the federal district in Bonn: Our masterplan was selected as winner of the cooperative procedure with four participating teams! Here is the press release of the city of Bonn. 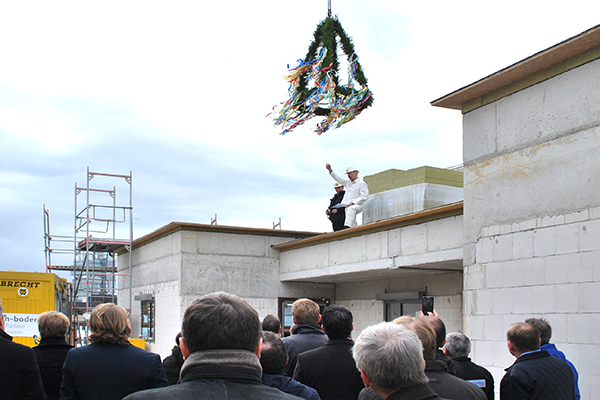 on 6.7.2018 the topping-out ceremony at the recycling house was celebrated. In addition to a small exhibition on used and recycled materials, guests had the opportunity to view some of the previously installed used materials such as to see an 8m high oak wall made of historic beams and a steel staircase made of former window substructures. From the crown corks collected at the topping-out ceremony, a wall covering will later be produced for the restroom. 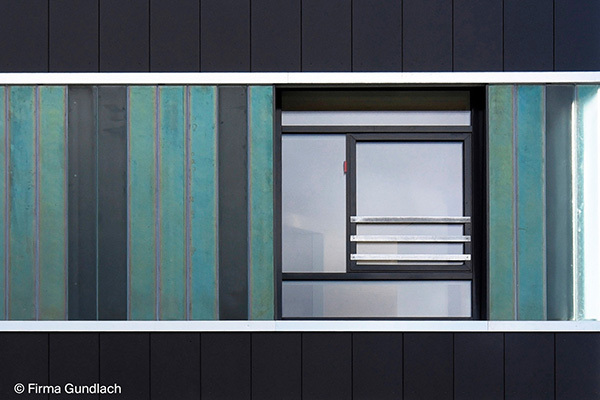 From the former House of Youth in Hanover-Linden used window and facade elements are removed and reworked to be installed in the recycling house. The construction method required a planning process that was changed in order: not from the bodyshell to the fitting component, but vice versa. For example, from the "harvested" window element for determining the shell opening. 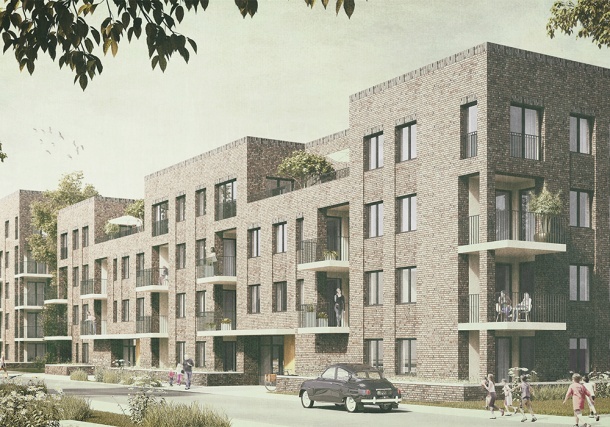 As part of the invited Buchholzer Grün competition, CITYFÖRSTER was awarded first prize for three residential buildings and second prize for a chain of row houses. We now look forward to contributing to the future development of the former site of the Oststadt Hospital in Hanover Buchholz. Martin Sobota will talk about "How Social Performance Improves our Cities" during next weeks session on New Standards for Contemporary Housing at the Living Environment Forum in Kaliningrad, hosted by the Strelka Institute. More than 700 experts, officials, and activists will gather On May 18-19th by the Baltic Sea to discuss the trends and challenges of modern Russian housing. 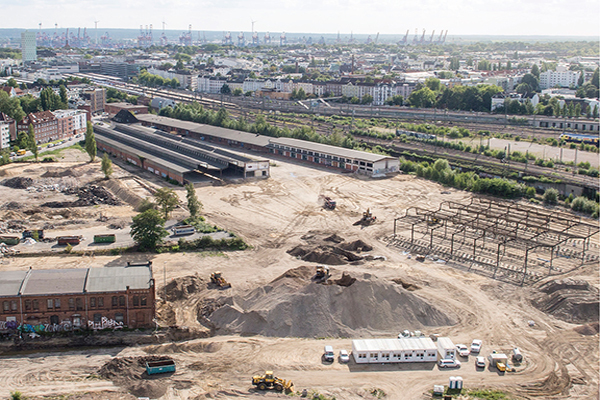 After intensive planning phase, it finally starts: Construction Start Recyclinghaus! 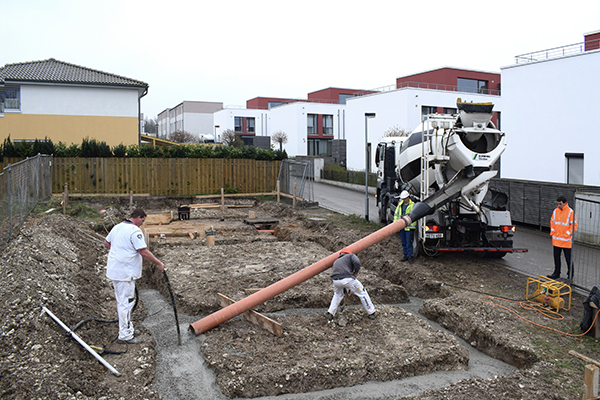 Today, around 21m³ of recycled concrete has been poured into the formwork of the foundations. The Recyclinghaus is made of recycled (reused) and recyclable (reusable) components in recycling-fair construction (use and disassembly of the components). 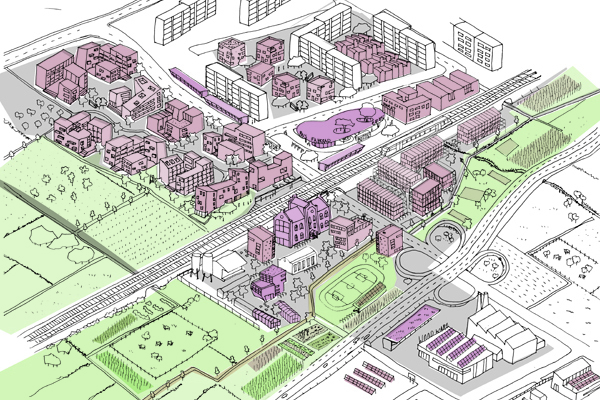 CITYFÖRSTER architecture + urbanism and FELIXX Landscape Architects & Planners, supported by freiwurf LA and R+T Traffic Planning, are selected for the development of Dietenbach, a new urban district of Freiburg im Breisgau, Germany. This new district is located at the edge of the city center, covering an area of 100ha, supposed to house up to 14.000 inhabitants in 5.500 new dwellings. Out of 28 high-profile international teams, 4 teams are selected and commissioned to elaborate their plans. Cityförster at the Urban Future World Conference 2018! 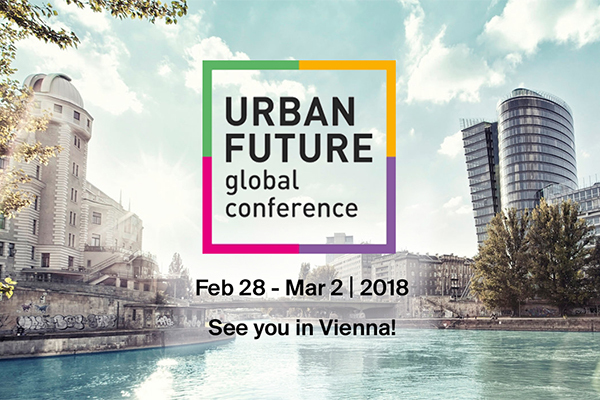 This year Cityförster is part of the Urban Future World Conference in Vienna. Oliver Seidel will talk about transformations of Cities. He will present our recently completed Perspektivplan Freiburg 2030. The Urban Future Global Conference will take place from February 28th to March 2nd. Looking forward to meeting you there. 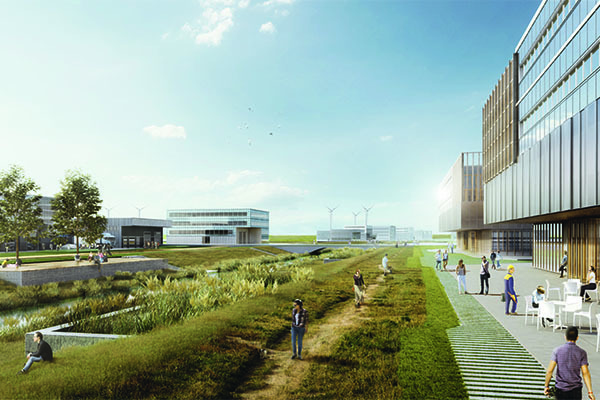 Lune Delta° - sustainable industrial park for the city of Bremerhaven. The city of Bremerhaven has selected our concept "Lune Delta° - designed as closed-loop cycles" as the winner from a cooperative workshop process! The Lune Delta° is a sustainable industrial park developed by taking into account the Cradle to Cradle philosophy. Thus, the project is pointing the way into a future for sustainable and interconnected economic structures. Our concept is strongly influenced by the landscape and emphasizes a divers and cycle-oriented industrial park, that operates communicatively and cooperatively. Together with urbanegestalt and Transsolar we are very pleased about the great cooperation with the city of Bremerhaven and the growing interest in such novel concepts and planning approaches. DBZ interview on BDA award "max 45"
We are very pleased about the BDA award "max45 - Young Architects" that we receiced for our project Residential Crown - a prototype of settlement 2.0. Recently we had the chance to stress our motivation, the role of planning processes and why we think settlement 2.0 is a major potential for our contemporary citites in the interview with Benedikt Kraft that was published in Deutsche BauZeitschrift. The interview outlines the Residential Crown as an inspiring and adaptable concept that fosters mixed use cities and its consideration in urban developmend processes. 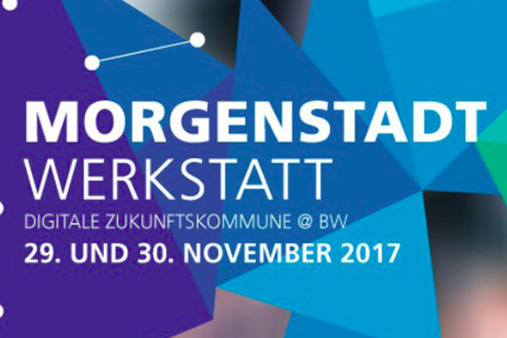 On occasion of the Morgenstadt Workshop 2017, interdisciplinary expertes will meet in order to shape the commune of the future. The challenges are so complex and far-reaching that it is not enough to optimize today's infrastructure such as mobility, energy or water supply. In the context of this complex problem, Sanna Richter and Oliver Seidel are outlining aspects of a liveable and sustainable city with their keynote lecture "Forestry is concerned not with trees ..." In the workshop strategies and tools has to be found in order to develope a concept that considers the city as a growing organism. In the winter term 2017/18 Verena Brehm will assume the visiting professorship "Urban Interventions" at the University of Kassel in the field of Urban and Regional Planning. The multifunctional event location allows a variety of different uses. 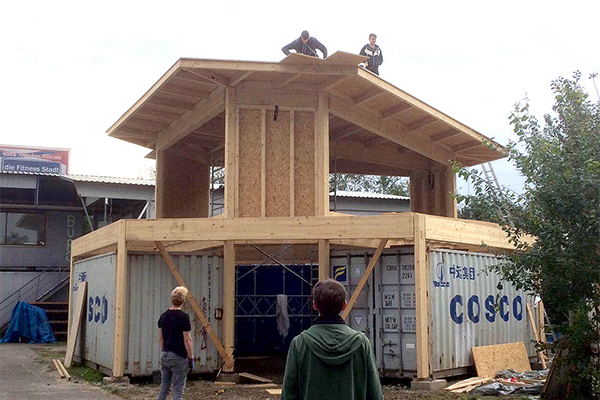 It is the new center of the PlatzProjekt at Lindener Hafen, an experimental startup container village. The construction process takes place according to the DIY principle, mostly in own contribution. For the construction mainly reycled materials are used. "Construction and reflection" is the title of this year's conference series by the well - known aluminum producer PREFA. Related to the material metal as a building shell, experts from the field of architecture are presenting best-practice projects. Focusing on simple construction and resource-saving material concepts, Arne Hansen talks about "Robustness - Designing Systems" and demonstrates these principles on various Cityförster projects. The "Master Lectures" address topics and trends, old and new paradigms as well as challenges of urbanisation. 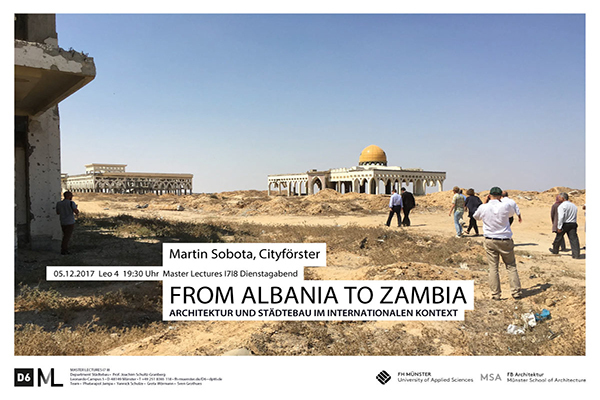 In his lecture Martin Sobota will talk about strategies of planning and building in an international context. 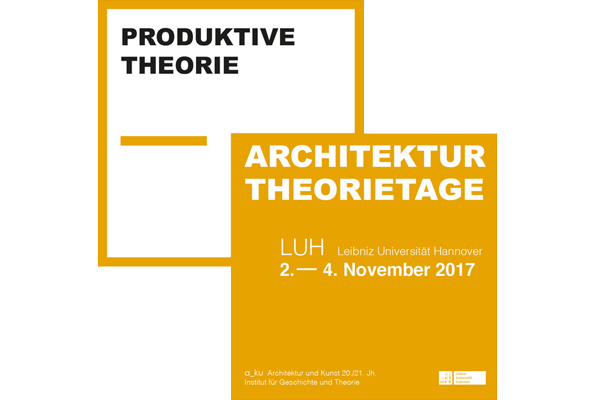 ArchitekturTheorieTage 2.0: Lecture on "Productive Theory"
This year the ArchitekturTheorieTage will take place from 2 to 4 November at the Faculty of Architecture and Landscape at the University of Hannover. The common goal is the exchange on "Productive Theory". In the lecture "Pragmatic-Visionary" Felix Rebers presents work and research priorities of Cityförster including the practical implementation of the cradle-to-cradle theory in the industrial park in Bielefeld as well as the settlement 2.0 as an innovative urban development concept. The Baukollegium Berlin was initiated in 2008 by the Senate Building Director Regula Lüscher. It advises district administrators and investors on the quality of design of significant projects. 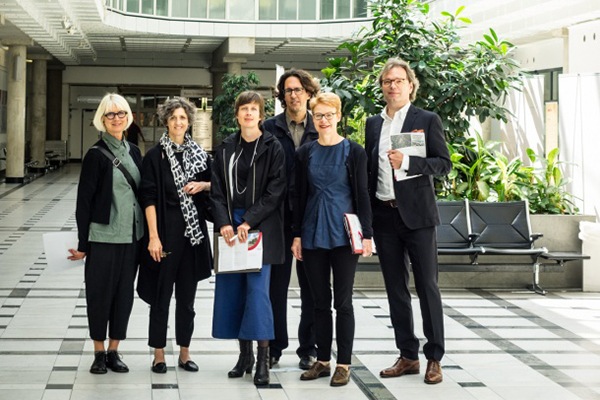 The Baukollegium is organized by the Senate and consists of six experts from the fields of architecture, urban design and landscape architecture: Dr. Verena Brehm (architect and urban designer, Hanover), Prof. Kees Christiaanse (architect and urban designer, Rotterdam), Andreas Garkisch (architect and urban designer, Munich), Prof. Regine Keller (landscape architect and urban planner, Munich), Jórunn Ragnarsdóttir, (architect, Stuttgart) and Prof. Ansgar Schulz (architect, Leipzig). In addition to the concrete recommendations concerning issues of architecture, landscape architecture and urban design, the fundamental improvement of the communication culture between the planning actors in Berlin represents an important task for the Baukollegium. We are very pleased with the appointment of Arne Hansen to the Association of German Architects. Together with 10 more "newcomers", he will present himself and his architectural position at the Pecha-Kucha evening on 30 June 2017 in Münster. The Pecha Kucha evening will be the start of the 13th BDA meeting, which will take place on Saturday and Sunday, July 1 and 2, 2017, under the slogan "The city I need - the city I love" with lectures , discussions and walks as well as the award of the Grand BDA Prize 2017 to the Swiss architect Peter Zumthor. "Architecture creates quality of life" is the nation-wide motto of the Architecture Day 2017: We are happy and proud that two of our projects are part of this year's selection! On Sunday, 25th of June 2017, we invite you to visit the "Residential Crown" in Hannover and the "New School" in Wolfsburg. Cityförster wins BDA Award max45 - Young Architects in Lower Saxony for the Residential Crown - an experimental housing project for level of settlement 2.0. 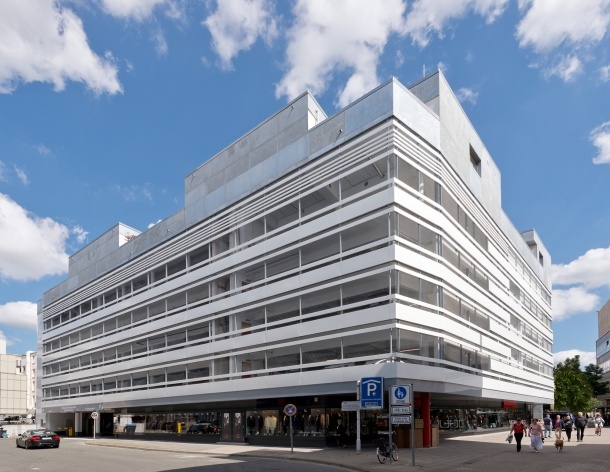 As an extension of the car park the project densifies the city centre with penthouses in a first class location and enhances the commercial district of Hanover with additional functions. This transformation of the car park that was in need of redevelopment increases the resilience of the property for the future and provides new apartments without sealing additional surfaces. 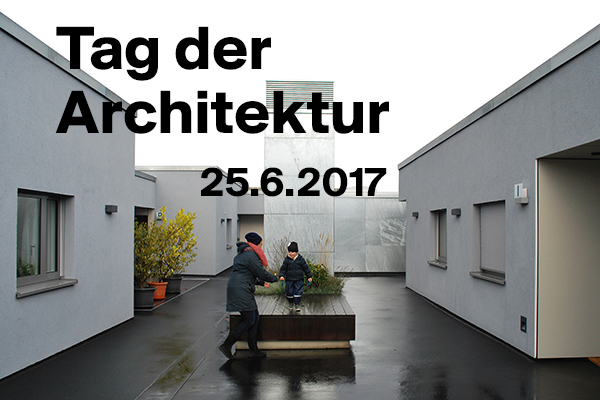 On Architecture Day on June 25, 2017 the Residential Crown we invite you to visit the Residential Crown on Windmühlenstraße in Hanover. Mobility and its change is a future field of urban design and urban planning. As a result of increasing alternatives to the automobile and the change of mobility behaviour of the younger generation, spatial resources are created to improve the quality of life in our cities. 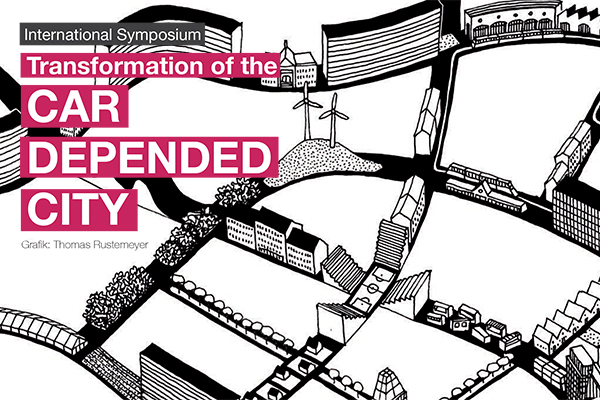 The symposium brings together renowned national and international positions. In her lecture Verena Brehm will point out the transformation potential of multi-storey car parks as locations for residential architecture. 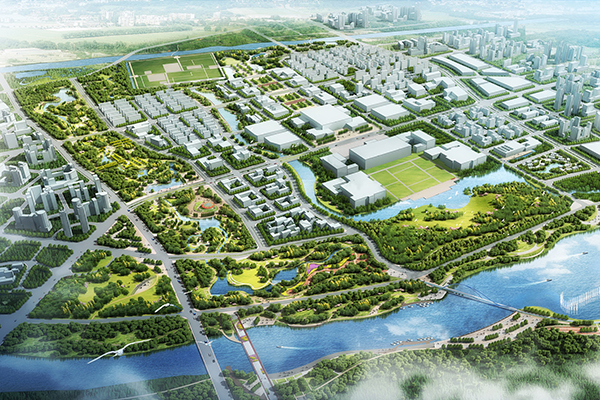 Cityförster as a member of the transdisciplinary team "Water Hannover" with the Chinese Academy for Urban Planning and Design (CAUPD) wins one of the three first competition prizes for the new government district of the Chinese capital Beijing. The new government district in Tongzhou will be built in course of Beijing's fusion with the cities of Tianjin and Hebei. Educational concepts in Germany are constantly evolving. How do architecture and urban design deal with these new requirements? How do exciting and manifold learning environments look like? How can the city benefit from educational facilities? The 11th Symposium on Building Culture will present concepts, possibilities and solutions in lectures and discussions. Using the example of the "New School in Wolfsburg", Kirstin Bartels will illustrate how new spatial concepts enable and foster a variety of ways of learning and teaching. 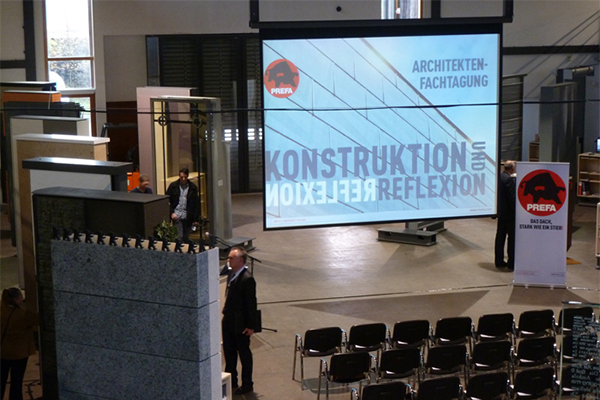 The conference is organized by the Chamber of Architects of Lower Saxony. At a time when Europe is preparing for crisis after crisis, we became fascinated by the opportunities these moments offer to rethink and shape our societies. We started a research and established a group of economists, politicians, urban planners and architects to see: How can the necessary investments in infrastructure and public space be better employed for economic renewal? 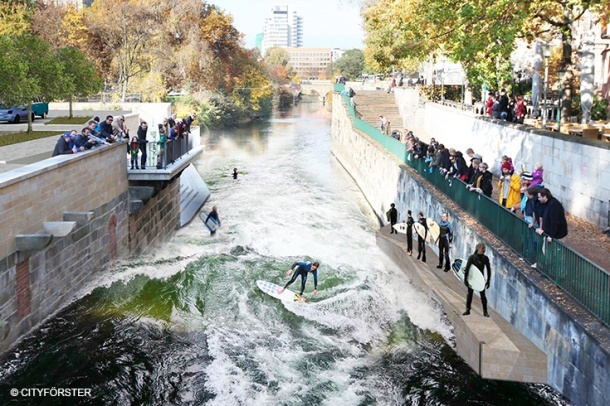 Under the name Beyond Plan B, they completed research in four urban areas along the Rhine. This research received support in the past from the Dutch Creative Industries Fund and a number of Regions along the Rhine. Visit the Beyond Plan B website to view the results of the research in workbooks, interviews, films and essays. Join our team in Rotterdam! For our office in Rotterdam we are looking for a landscape architect and an architect with at least 4 years of professional experience, who is able to lead challenging international projects. Together with KuiperCompagnons, KLA kipar Landschaftsarchitekten and the University of Hamburg, CITYFÖRSTER has designed a future image for the brown coal mining area of Garzweiler. "New energy" is landscape in motion and deliberately focuses on a development process that begins in the here and now. 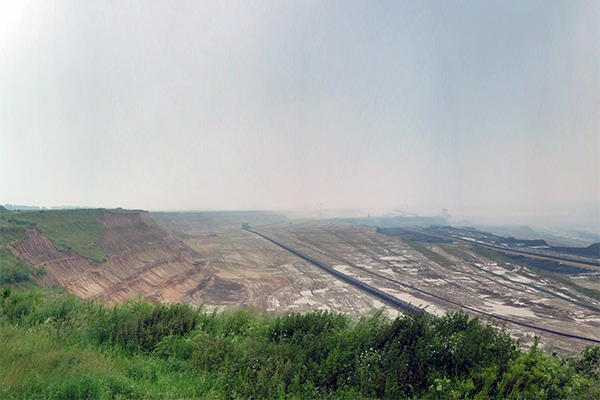 The open-cast mine is no longer intended to occupy the space monofunctionally, but rather to develop the landscape in every phase through spatial and temporal projects: Europe's largest park surrounds the Tagebaurand as a framework for a new settlements, landscapes and commercial developments in the post-mining-phase. The results will be published in February 2017. More information here. The project "Cape Square" in Dürres by CITYFÖRSTER and BOOM has been selected as one of 17 peojects for the Dutch Yearbook on Urban Design and Landscape Architecture 2016. The book wll be launched on the 26th of November in s'Hertogenbosch. More information here. The housing project "FOUR" of Gundlach GmbH & Co. KG was awarded the Gold Award in the category "Residential" in the FIABCI Prix d'Excellence International as an exemplary neighborhood development. The competition of the "International Real Estate Federation" (FIABCI) in co-operation with the Federal Association of the Free Housing Company (BFW) is regarded as the "Oscars of the property world". The jury was impressed by the various residential styles combined with a very high degree of sustainability. 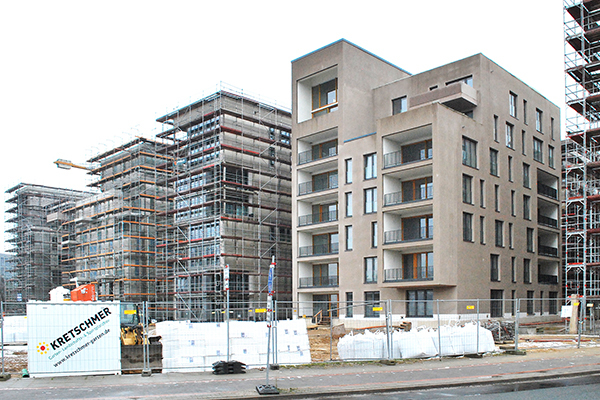 CITYFÖRSTER has designed three of the eight residential buildings together with gruppeOMP. Together with experts from marketing, tourism and agriculture, CITYFÖRSTER recently concluded a research into the potential links between these sectors and identified a number of business cases for local entrepreneurs and opportunities for international companies with a focus on sustainable products and services. 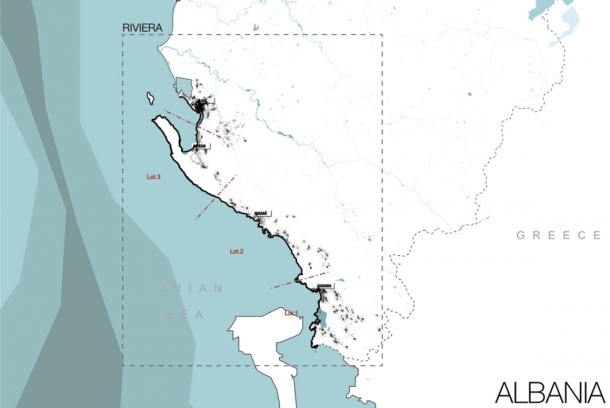 The team had conducted an exploratory mission to understand and map out spatial potentials and urgencies along the Albanian Coast as a basis for a large scale development concept as well as small scale design measurements for certain business cases. The research was commissioned by the Dutch embassy in Tirana and has been presented to Albanian authorities and stakeholders in October. The online publication is available now. CITYFÖRSTER is invited to reflect on an experimental, research-based approach to architecture and urban development by the initiative AG Stadtleben: In her lecture Verena Brehm will present selected projects to discuss ways of "doings things differently". Yueyang, China: The better the water the better the city! As part of the interdisciplinary team "Water Hannover" Cityförster designs an integrated plan to improve water quality and, consequently, the quality of life in the city of Yueyang. 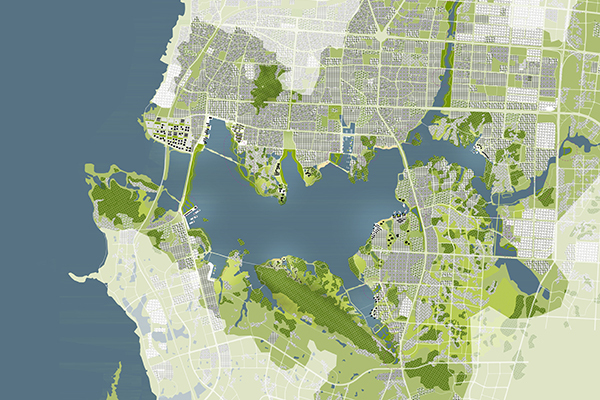 The measures range from the new conception of the sewer network, multi-coded wetlands to a climate-friendly restructuring of the existing city. The plan follows the guiding principle to improve the water quality and at the same time to increase the quality of life in the city. The aim is to restrain or to store water where it is produced, to dispense water gradually to the environment through seepage and evaporation and to clarify water ecologically. Thus open spaces within the city are revalued, biodiversity is increased and the microclimate is improved. As part of this adaptation the potential of Nanhu, a freshwater lake, is being expanded and the lake becomes the center of the city. Together with Keferstein+Sabljo Architekten we are happy about the second prize in the non-open competition for 70 Apartments in Hannover-Bothfeld. The generous access balconies offer private niches as well as common openings, which, depending on the season, extend the apartments and become vivid meeting points. 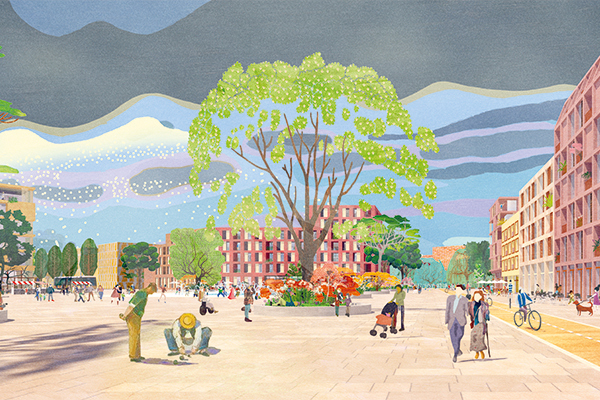 Two open spaces with very different qualities are generated – semi-public and sheltered. 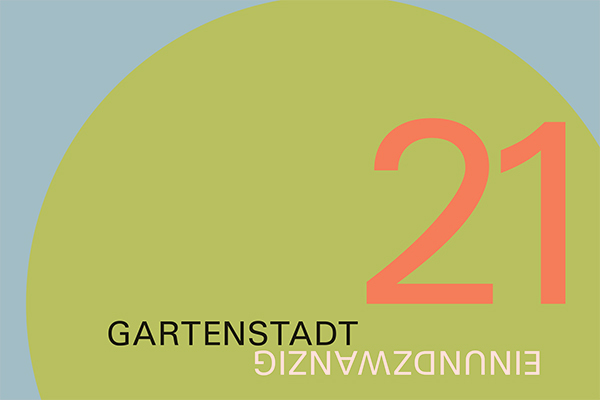 Together with freiwurf and landinsicht, CITYFÖRSTER is invited by BBSR, to participate in the workshop "Gartenstadt21 grün-urban-vernetzt" early in September this year. During the workshop the participants will discuss theses about and the development of Howards concept of the garden city with regards to spatial challenges of the 21st century. The other teams participating in the workshop consist of teams around yellowz and Urbanista as well as topotek and HHF architects. We are looking forward to exciting and productive days. 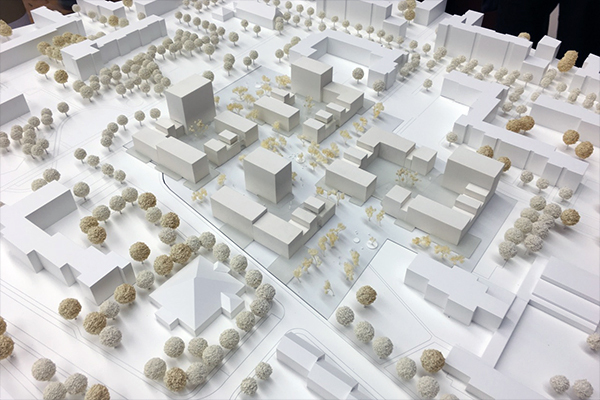 Last week we finally presented our new housing concept to upgrade the Berlin Quarter in Monheim/Rhein: The car free neighbourhood caters to a diversity of lifestyles and is sensitively integrated into the urban fabric with a strong sense of human scale. So far we're among the last three. Stay tuned! With their project "Refuge and Encounter in Laer" CITYFÖRSTER and Mark Niehüser are nominated for the Berlin Award 2016 - Heimat in der Fremde. The award ceremony takes place in the former airport Tempelhof. As part of the Refugee Housing Database, the project will also be shown in the German Pavilion at the 15th Venice Architecture Biennale. 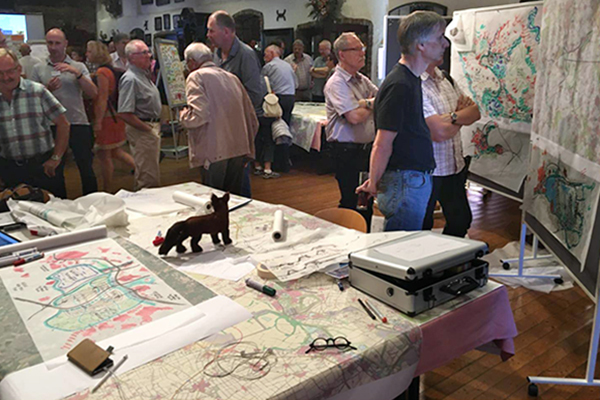 CITYFÖRSTER is invited to a planning workshop about the future of the open-cast mining landscape in the Garzweiler region. The workshop is organized as a cooperative process in which an interdisciplinary team will design a "Scenario 2036". 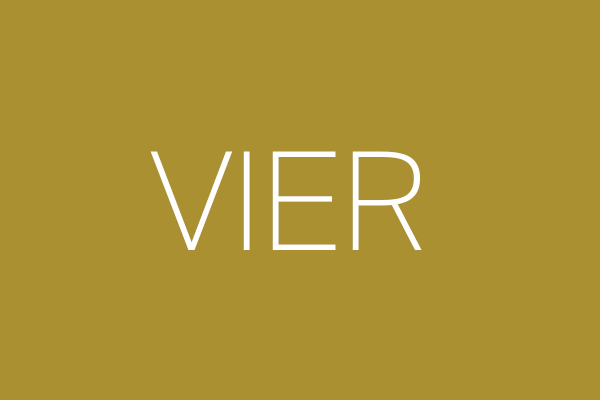 We look forward to working with the offices Kuiper Compagnons, Kipar landscape architects and Dr. Susanne Kost. Talking about "Work + Process"
The series "architecture talks" by the regional Chamber of Architects Baden-Wuerttemberg focuses on "work and process". Throughout the event, the speakers will not only present their own work, but exchange ideas and express thoughts and questions about the other participant´s position. Cityförster is invited to discuss with Angela Fritsch, architect from Seeheim-Jugenheim, about the own work, working processes and methods. Architecture Talks 2016, "work and process"
The Heinze ArchitekTOUR 2016 is dedicated to architecture in times of demographic, social and climatic change. The tour program „Form Follows Resource" addresses new standards in contemporary architecture and a responsible, yet innovative use of design, material, economic and social resources. CITYFÖRSTER is invited to give a keynote lecture followed by a discussion. Tuesday, 31.05.2016, Entry: from 1.00 p.m.
As part of the UN Habitat Urban Labs team working on Gaza, Palestine, CITYFÖRSTER will present the preliminary findings at an event, organised by the Dutch Creative Industries Fund, bringing together five different cases across the world that are currently under development as part of a New Strategy of UN Habitats Urban Planning and Design Lab. The event will take place in the Università Ca' Foscari di Venezia on May 27th. If you are interested to participate, please let us know. Participation is by invitation only. On May 24th the project team of 'The Traveller and the Olive Grove" is happy to share the results of the mission to the Albanian Riviera in March 2016. As intended, the mission produced an outline of a model for agro-tourism in a broader sense. 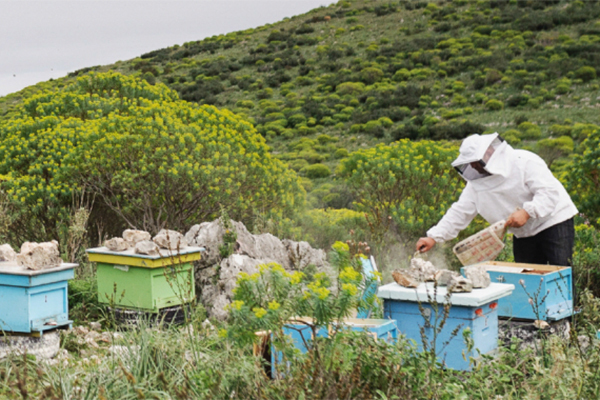 Interviews, field visits and workshops have led to a great number of potential business cases that strengthen sustainable agriculture and tourism in Albania. The purpose of this event is to strengthen established relationships and develop possible follow up activities. The "Architecture Talks" at Marta Herford discuss ideas and visions of life in the city as well as current issues in architecture and urbanism. CITYFÖRSTER is invited to a keynote lecture followed by a discussion. 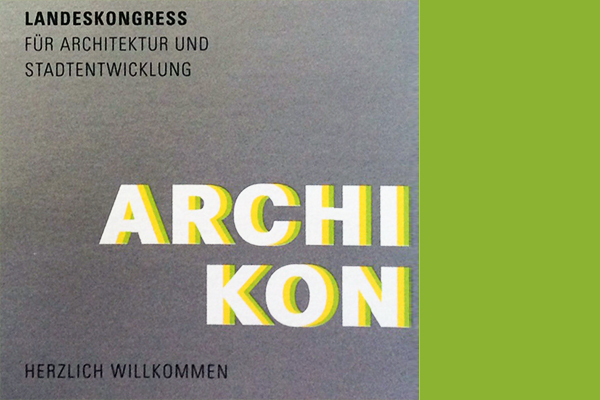 The regional chamber of architects will host the first congress for Architecture and Urban Development on the 6th of April in Stuttgart: Cityförster is invited as lecturer in the session "cooperation and networking" and will give insights into the office's structure as an international partnership. 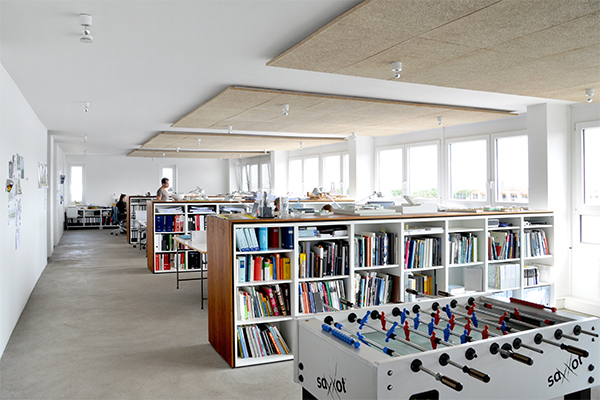 We are looking for student workers and interns for our office in Hanover, Germany. 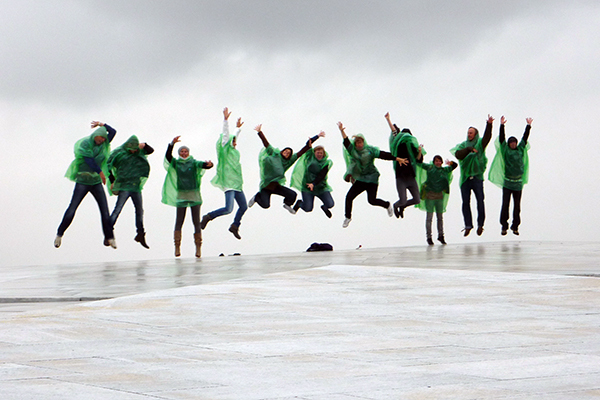 Our work is characterized by team spirit, commitment and openness to new ideas and approaches. Currently we are working on urban planning and urban design projects in Germany and China, as well as on architectural projects especially in the housing sector (e.g. affordable housing, experimental designs, new sites). 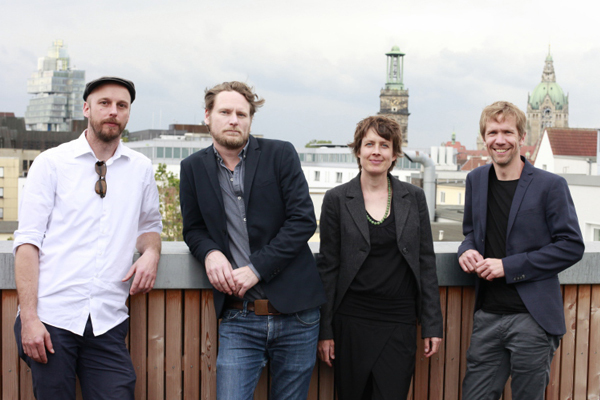 Verena Brehm has been appointed visiting professor of urban design at the University of Kassel, Germany. She teaches two design projects and a theory course on design motives. Cityförster outlines a statement on this pressing topic in the recent publication (3.2015) of the BBSR (Federal Institute for Research on Building, Urban Affairs and Spatial Development). Following the question on how innovation can gain a broad acceptance and thereby be successfully managed, the magazine discusses a variety of topics, ideas, and chances. We are happy to announce that the structural work of our project Residential Crown Carpark Windmühlenstraße is complete. 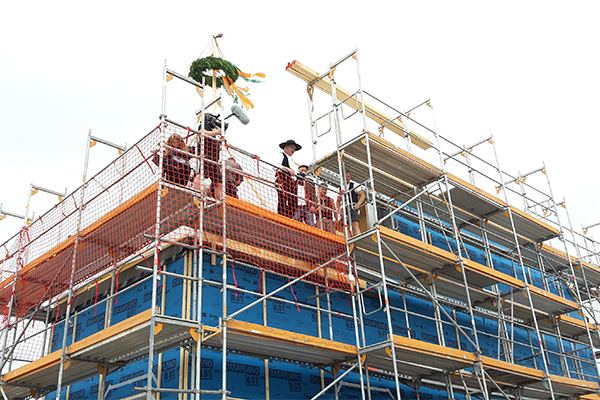 Invited guests could gain first impressions during the topping out ceremony on November 20th. Mayor Stefan Schostock complimented the project as a pioneering contribution in line with the objectives of the Urban Development Programme Hannover City 2020+. New office location Cityförster Hamburg! We are happy about the opening of our new office location in the west of the Hanseatic city of Hamburg - just a few minutes' walk from the station in Altona! After 14 years in Norway managing partner Kirstin Bartels shifts the working field "school buildings" from Oslo to Hamburg. 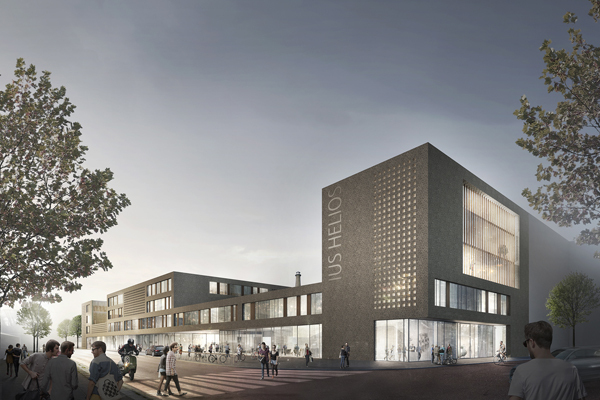 A great start for the new location was the 2nd prize in the international competition "Primary and Comprehensive School Helios" in Cologne in cooperation with bof architects and urbane gestalt landscape architects, which was decided the end of June 2015. Another 2nd prize followed right after in the architectural design competition "District School Altona, Hamburg" as the result of a successful team work with bof architects. 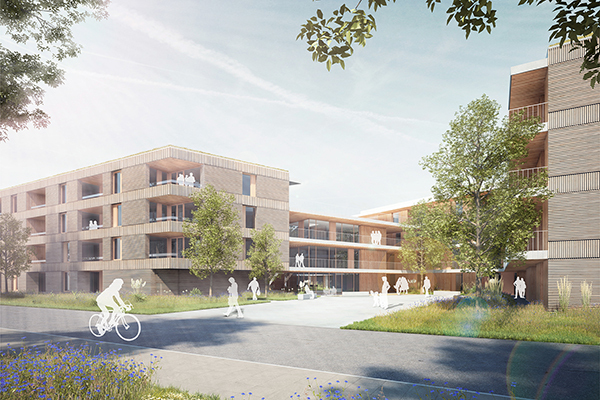 We are pleased to win the 2nd prize in the competition for the District School Altona in Hamburg together with our cooperation partners of bof architects. We are happy to receive the 2nd prize in the non-open design competition for Primary and Comprehensive School Helios in Cologne Ehrenfeld as a result of a successful cooperation with bof architects and urbane gestalt landscape architects. The jury especially appreciated "the optimal implementation of educational objectives in the design". 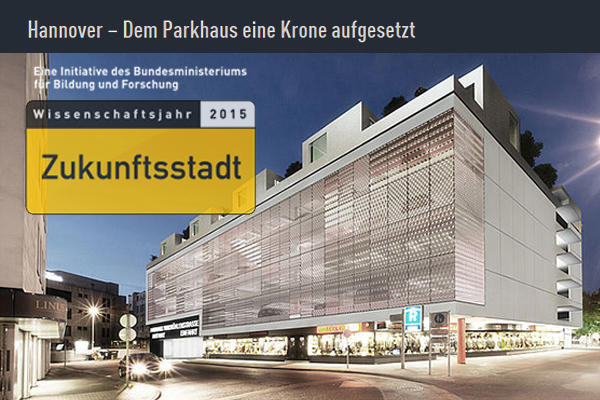 Initiative "Future City" chooses "Residential Crown Carpark" as best-practice! The initiative "Future City" of the Federal Ministry of Education and Research shows examples of sustainable urban redevelopments. We are pleased that our renovation project "Residential crown Carpark" in Hanover was chosen as best practice: "The project is an example of the plans of many local authorities to revalue their neighborhoods with innovative ideas and concepts for the city of tomorrow." 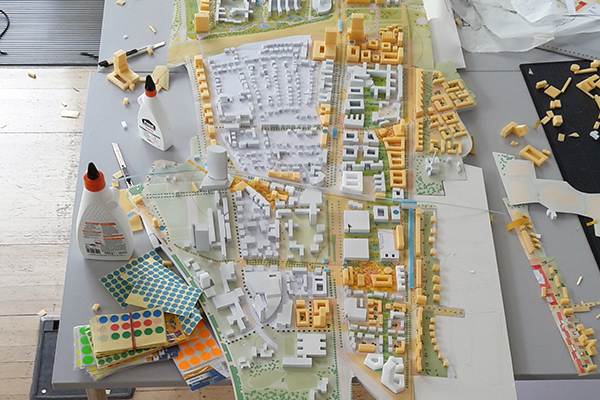 As part of the lecture series "Understanding Cities" of the Technical University Cottbus Oliver Seidel is invited to reflect on spatial concepts and principles in large scale planning processes. The lecture focuses the topic of interdisciplinary cooperation and the effectiveness of participatory processes. The massive need for living space in many big cities today is a chance to forge a new era of housing by creating new qualities. The URBAN LIVING exhibition presents ideas and best practice examples for new, affordable living typologies, vibrant neighborhoods and a resilient urban development. The exhibition shows strategies that improve urban life while strengthening specific characteristics of individual neighborhoods. Projects from the international URBAN LIVING workshop and from the SELF-MADE CITY publication are presented. We are happy to announce, that our project VACANT SITES OVER THE ROOFTOPS OF THE CITY is part of the exhibition. The Albanian Prime Minister Edi Rama visited the construction site of Cape Square in Durrës today. The Design Concept for the square and artificial pier are the result of a collaboration with BOOM landscape in Amsterdam. 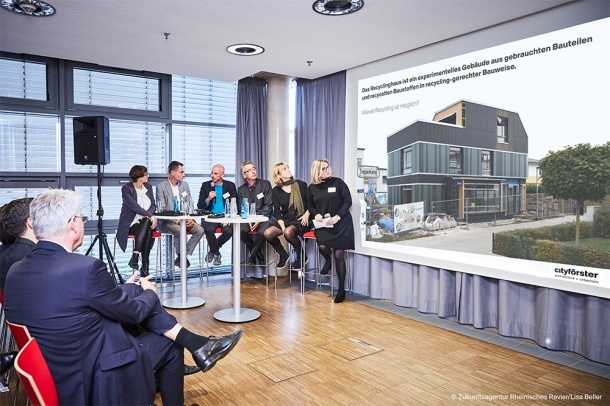 Cityförster inititated the presentation of the film "Housing for People", a film by Austrian urban planner and filmmaker Reinhard Seiß, together with the Chamber of Architects of Lower Saxony and the Faculty of Architecture and Landscape in Hanover. Every year thousands of Austrians abandon the city centres to fulfill their dream of living: a single-family house in the green suburban surrounding – having multiple negative side effects on society and landscape. The film shows that sustainable, compact housing typologies and the wish for individual living with significant private and public outdoor spaces are not a contradiction, but able to produce a high quality of living and vivid neighbourhoods! 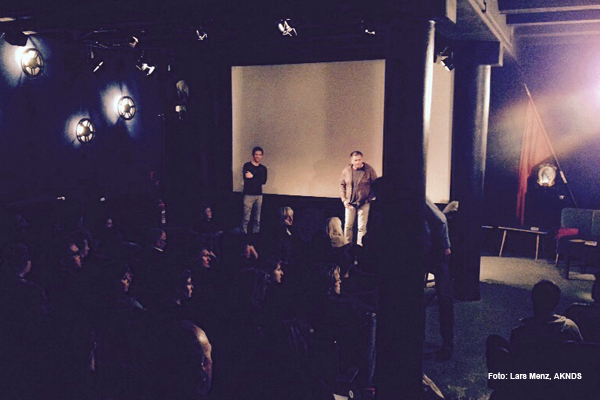 The event took place on April 21st 2015 in Hanover's cinema "Kino im Sprengel". 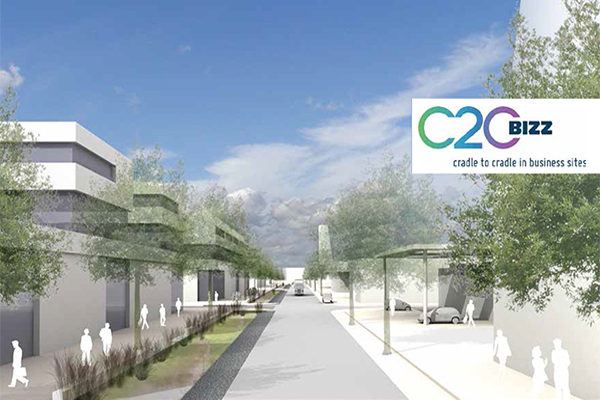 How can industrial areas be developed according to the concept "Cradle-to-Cradle "(C2C)? The concept Cradle-to-Cradle is based upon Prof. Dr. Michael Braungart's idea of a circular economy in which resources are not consumed but are continually used. The City of Bielefeld explores together with ten European project partners how this concept can be transferred to the development of industrial parks. In this context CITYFÖRSTER and landscape architects Urbane Gestalt were commissioned with a feasibility study, which focuses on the development of C2C-principles in the areas of buildings, open space and infrastructure. The results will be presented on Wednesday, 15.04.2015, from 17 clock in a public presentation. You are welcome to join the event. 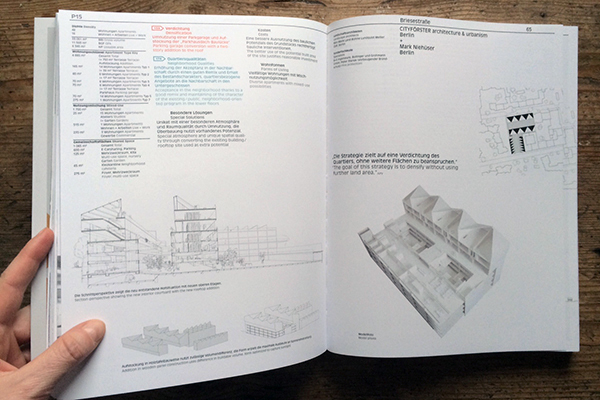 Publication: "Urban Living: Strategies for the future"
We are happy to announce the publication of "Urban Living: Strategies for the future" with our contribution Vacant sites over the rooftops of the city. The book will be presented in DAZ, Köpenicker Str. 48/49, Berlin, on 30.03.2015 at 6 p.m. You are invited to join a lecture with Jean-Philippe Vassal, followed by a discussion with Senatsbaudirektorin Regula Lüscher. The building progress of the Pelikan housing site is great! The buildings will be finished in the end of 2015. For more pictures see the project page. 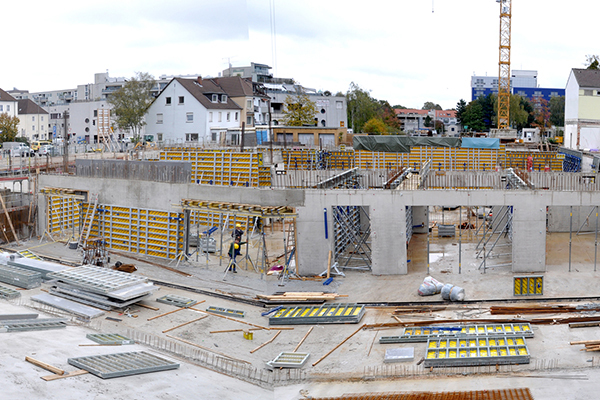 We are excited about the building progress of the New School Wolfsburg. See more pictures here. The project Family Villa has been awarded by the Savings Bank Foundation with an award for heritage conservation – we are happy for the owners and residents! The Lower Saxony Savings Bank Foundation awards the Price for Conservation 2014 for the 15th time. The prize is worth 75.000€. This year, 17 monuments are awarded a prize, in total 60 owners had applied: "The Price for Conservation honors the private commitment that owners apply for the preservation of historic monuments. The winning monument owners are noteworthy examples. They impress with extraordinary personal commitment, exemplary restoration and development of remarkable concepts of use, "said Michael Heinrich Schormann, Deputy Managing Director of the Lower Saxony Savings Bank Foundation. 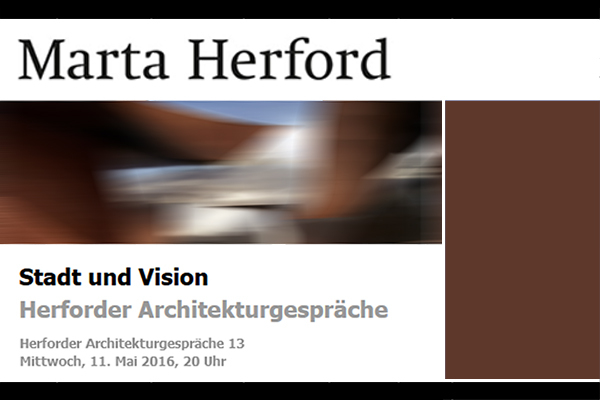 The project blog Spatial Vision Freiburg is online and in lively use. 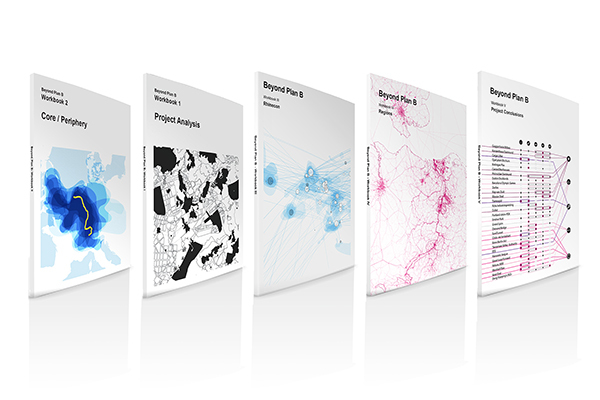 The Spatial Vision Freiburg outlines options for the spatial development of the city of Freiburg in the next 15 years. 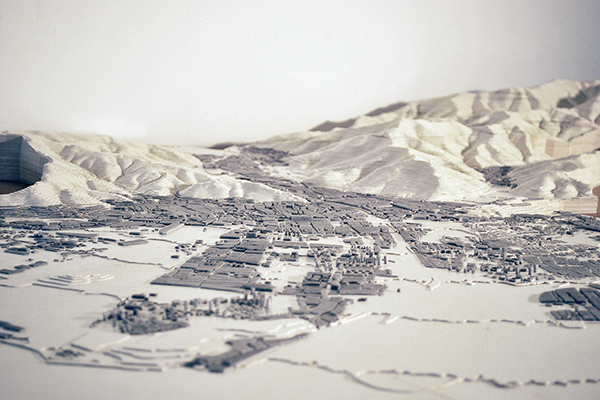 The aim is to define a model for the structural urban and open space development. The project is carried out under participation of diverse actors of urban society. The project blog provides information on working steps and results, serving alongside workshops and public information sessions as an effective tool for citizen participation. Via the blog the newsletter of the project and information about current events and processes can be received. Oliver Seidel is invited to give a lecture on sustainable design in the series "Think!" by the BDB Bund Deutscher Baumeister in Bielefeld. "Sustainable design not only increases the functional capacity of architecture, it also triggers a variety of positive effects. 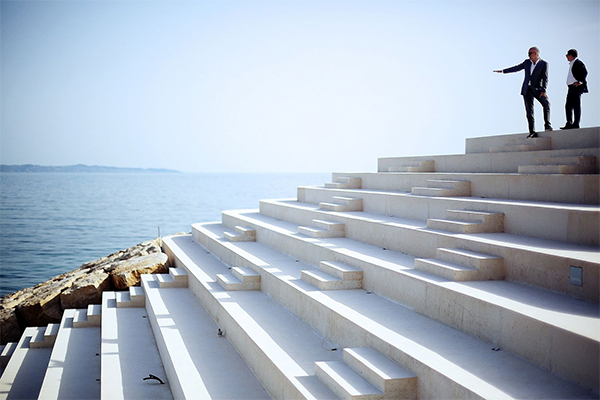 Architecture influences the way we live, work, play, meet, and communicate essentially." We're proud to announce that our team has entered the second stage for the urban design competition for the Albanian Riviera. We're off for site visit and stakeholder workshop with Openfabric Polylester and Symbiotica! 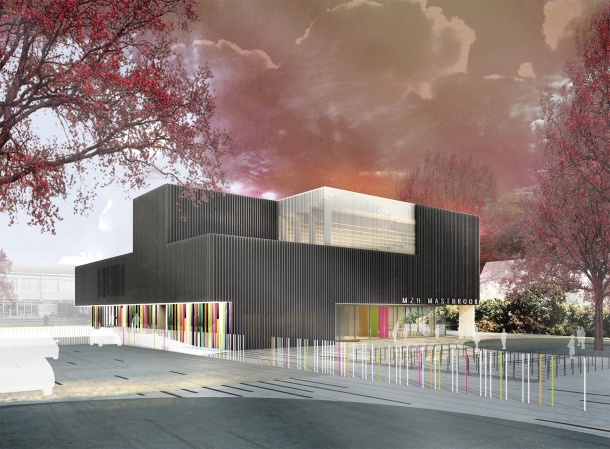 CITYFÖRSTER wins the 3rd prize in the two-phase open competition „Mehrzweckhalle Mastbrook" in Rendsburg, Germany. 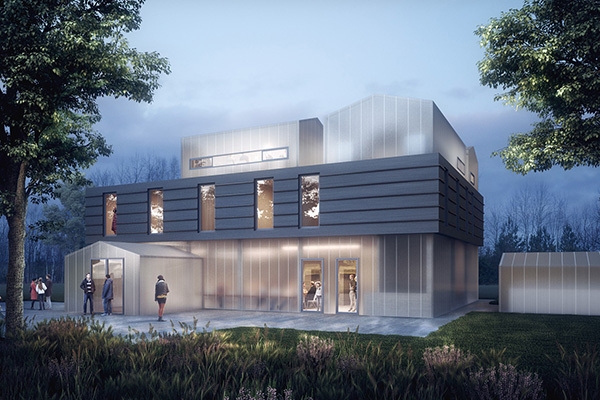 The community center combined with sports hall is characterized by a compact building envelope with an economic footprint. The building attains efficiency by layering functions and multiple-shift usage. The Jury compliments the multifarious open public space and the skillful structured proportions of the building volume as well as its good energy balance. 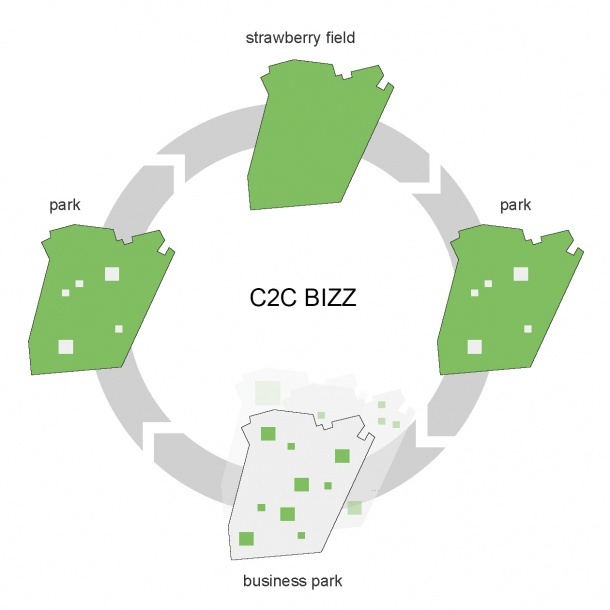 Feasibility study "Cradle-to-Cradle Industrial Parks"
The city of Bielefeld is a partner of the INTERREG IVB project "Cradle to Cradle Business Innovation & Improvement Zones. C2C-BIZZ". The aim of the project is to promote the development of industrial parks according to the Cradle to Cradle philosophy in Europe. The concept Cradle to Cradle is based upon Prof. Dr. Michael Braungart's idea of a circular economy in which resources are not consumed but are continually used. The city of Bielefeld explores together with ten European project partners how this concept can be transferred to the development of industrial parks. In this context CITYFÖRSTER and landscape architects Urbane Gestalt are commissioned with a feasibility study, which focuses on the development of C2C principles in the areas of buildings, open space and infrastructure. Consultants are Transsolar KlimaEngineering and the material experts of imagine envelope. CITYFÖRSTER is honored with the German Innovation Award "Excellent Landmarks in the Land of Ideas 2013-14" by the initiative "Germany - Land of Ideas" and Deutsche Bank. This year's award is dedicated to ideas and projects that provide solutions for future challenges of cities and regions. CITYFÖRSTER was honored in the category "Economy" due to the interdisciplinary approach, that contributes to promoting sustainable urban development. You are cordially invited to the award ceremony! 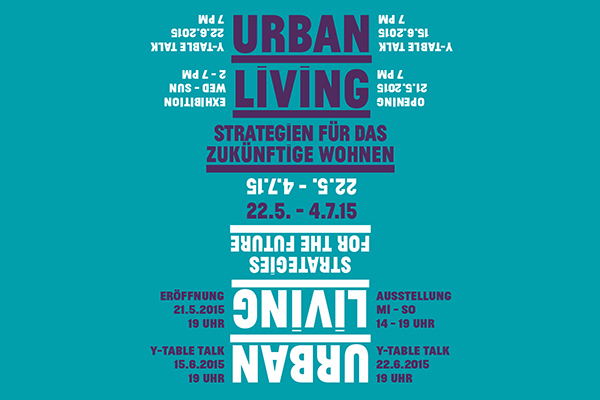 The results of the cooperative workshop "Urban Living - New forms of urban living" are presented at HO Berlin from 6th to 26th of March 2014. You are cordially invited to the opening with the Senate Building Director Regula Lüscher on March 5th, 2014. How can entire neighborhoods benefit from redensification? How can building and living costs be reduced? What kind of residential concepts are sustainable? These questions were discussed in the workshop procedure. The aim was to develop exemplary innovative solutions for housing in the coming years. We would like to discuss with you our project: a residential conversion and extension of a multi-storey car park in Berlin Neukölln.